Ah yes, the adult coloring book craze continues. I, myself, have been searching stores high and low for the perfect adult coloring book, and haven’t been able to find one. They generally consist of intricate designs that may be fun and relaxing to color, but don’t necessarily form anything exciting in the end. For me, that’s simply will not do. But someone heard my prayers — and apparently I’ve just been looking in the wrong places. According to Hypable, five official Harry Potter coloring books will by out by this summer. Two have already been released. The first is a number one bestseller on Amazon. Just last month, yet another was released — this one based on magical creatures from the Harry Potter series. Scholastic has more planned, including Harry Potter Magical Places & Characters Coloring Book and Harry Potter Postcard Coloring Book , which are set to be released in March and Harry Potter Artifacts Coloring Book , set for a June release. It makes complete sense that the pop culture-oriented coloring books are selling the most. After all, they have pictures of characters and settings with which people are familiar. Not to mention, this is a brilliant way for J.K. Rowling to expand on her ever-growing Potter empire. It’s both crazy and amazing how much she continues to churn out in the way of books, coloring books and movies, even though the actual story of Harry Potter is done. Allegedly. If the upcoming Hunger Games movies aren’t enough Suzanne Collins for you, have no fear. The famed author of The Hunger Games series is releasing another book; but this one is a little different from the last three. Year of the Jungle will be an autobiographical children’s picture book. According to Entertainment Weekly, however, the book will still have some similarities to The Hunger Games; or rather the main character will share some of the same qualities as Katniss Everdeen. The story will focus on a young girl dealing with the harshness of war. It’s about a girl named Suzy whose father is overseas, fighting in the Vietnam War. It’s a story that comes from Collins’ own childhood memories, as she explained in the press release for her book. For several years I had this little wicker basket next to my writing chair with the postcards my dad had sent me from Vietnam and photos of that year. But I could never quite find a way into the story. It has elements that can be scary for the audience and it would be easy for the art to reinforce those. It could be really beautiful art but still be off-putting to a kid, which would defeat the point of doing the book. My guess is it’ll be tough to top sales and the popularity of The Hunger Games series, but it could be good. Thoughts? Though Harry Potter author J.K. Rowling’s first adult book The Casual Vacancy is selling well, it has gotten some relatively underwhelming reviews. That may explain why the author recently told several media outlets that her next book would likely be a children’s book. The next thing I publish is likely to be a book for children. The reason I’m not committing myself wholeheartedly is because, after fifteen years of being a writer for Harry Potter, where you would say something and someone would seize on it and say, ‘You are definitely doing that now.’ And you kind of thought you weren’t allowed to change your mind. And it got a little intense, so I try not to commit myself with my plan. So I’m not 100 percent sure about doing it, but I think it will be a book slightly more for children. Rowling also mentioned something similar in an interview with BBC. However, she hasn’t made clear if the book would have anything to do with the world of Harry Potter. Rowling has previously mentioned that she may not be done telling Hogwarts stories yet, even though she says her Harry Potter stories are finished for sure. What do you guys think? Will her next children’s book be Hogwarts related? Or something completely different? The Hunger Games has a new look. 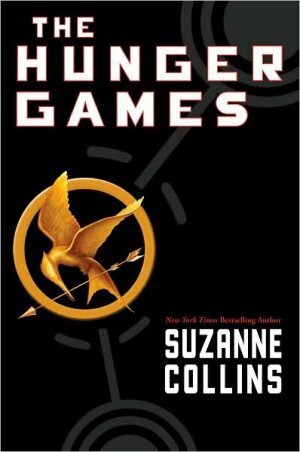 Scholastic has put together The Hunger Games Collector’s Edition, featuring new and improved cover art. The original book used the Mockingjay pin as its central focus, and the other books in the series followed suit. The new version still features a mockingjay, minus the pin. As we Hunger Games readers know, the mockingjay has much more meaning to the series than just being a pin. Levithan adds that the pinless mockingjay teases the significant role of the bird in the series. So is the new cover better or worse?